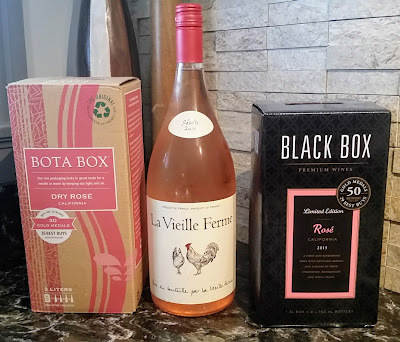 A few weeks ago, I received an invitation for a wonderful sounding wine-tasting luncheon at a restaurant called Faith and Flower featuring wines from Portugal. Hosted by a master sommelier, this looked like a fabulous experience. Except for one thing. Faith and Flower is in L.A.
With my enthusiasm slightly muted, I dropped a line to Katelyn at R-West, who'd forwarded along the invite. I told her that I probably couldn't get there on my lunch hour, but I'd sure like to try a sample of the potential wines. Ever helpful, Katelyn agreed, and the wine fairy delivered a bottle of Luis Pato 2013 Vinho Branco to my door. To back up just a moment, Portugal has long been known for port (duh) and sherry -- but the "regular" wines from there are picking up steam. I've touched on a few of those wines previously -- notably my rhythmic ode to Vinho Verde and introduction to varietals from around the Alentejo region. 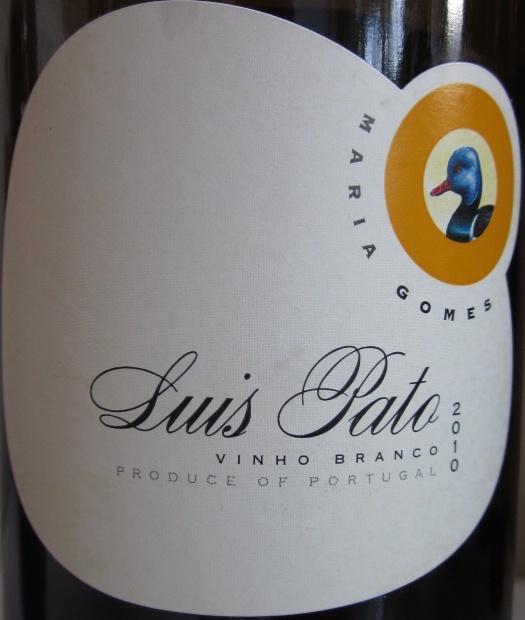 The Luis Pato is from the Bairrada region in central Portugal, known for fragrant white wines and full-bodied, tannic reds. Sparkling wine is also produced there in some quantity, and there's a growing production of rose. In case you're wondering, "Vinho Branco" is Portuguese for "White Wine." (As opposed to Vinho Verde, which is "Green Wine.") This particular bottle is made from a grape varietal known in that region as Maria Gomes. Who was Maria Gomes? No one seems to know. There are stories about a hundred-plus year old woman who passed away in 2011, and a former female Portuguese army general who swindled many folks out of money by masquerading as a man -- but there don't seem to be many links between those two and grapes. In any case, outside of the Bairrada, the grape is known as Fernão Pires. This varietal, whatever its name, is the most widely planted white grape in Portugal. If, like me, your experience with Portuguese whites is largely based on Vinho Verde, this bottle will come as a bit of a departure. The nose is much "fuller," with apple and pear blossom scents which are typical of this grape. The body has some considerable weight, along the lines of a California chardonnay, but without much creaminess. The main flavors I got were Viognier-ish peaches backed up with a lemony tartness. The finish is a bit on the soft side, which surprised me, considering the acidity. I thought it was a pleasant, though hardly complicated drink. Overall, I would say that it's a good change-of-pace summertime table wine that's not an acid ball. The serving recommendation from Luis Pato (who, from his website, looks like a very nice guy) is to have this with lighter fishes or some kind of shellfish. I went with an Italian-style shrimp and beans and it went nicely alongside. It retails for around $13, which is just about right.